From the beginning to the maturity, from political ideals to privacy, the documentary by Gaetano Di Lorenzo explores Indovina's universe with the help of a long series of authoritative (family, friends, co-workers, film critics) and material repertoire from Istituto Luce, Rai Teche, Centro Sperimentale di Cinematografia, Mediaset, Archivio storico del Cinema Italiano, Piccolo Teatro di Milano, Teatro Massimo di Palermo, Associazione Michelangelo Antonioni and other private funds. The story unfolds in chronological order, in an attempt to rebuild with philological rigor and human empathy life and work of Franco Indovina, ever so far starred in retrospective studies and specialized. Interviews and vintage materials will be interspersed with segments of fiction concerning a short period reconstruction, reconstruction in which evoked Indovina's last journey, the car ride of 5 May 1972 for the airport of Fiumicino . 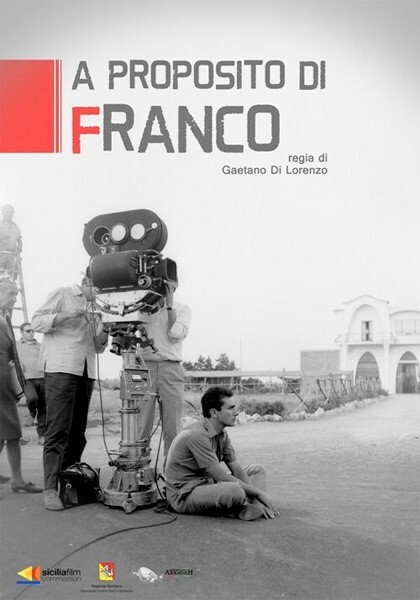 Other outdoor shooting were made in Palermo and Rome, the two private and professional "poles" of Franco Indovina's life.